Revision exercise disguised in a fun activity. 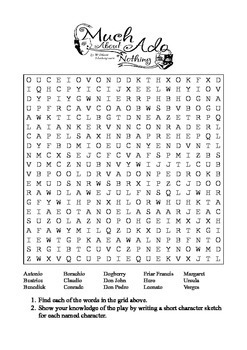 This puzzle asks students to find the names of 15 characters from the play by Shakespeare. They are then asked to write a short character sketch for each one. 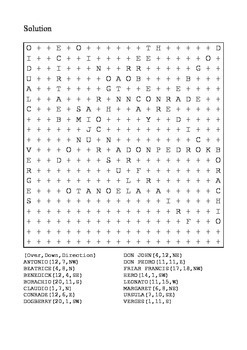 The solution to the puzzle is included.